Commercial product photography is a fine art form where the brand core and communication are of paramount importance. Our photographers and editors are skilled experts who have years of experience. High-quality images are integral to business and to the product strength and success and so poor workmanship is easily exposed. 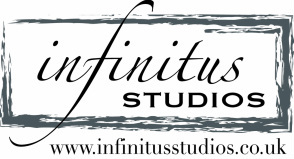 Infinitus Studios combines superb skill and experience with facilities designed for the job to ensure outstanding quality which can be seen. Photographers and image editors shouldn’t just be technically proficient, but also artistically skilled and have a touch of awesome. Commercial photography needs to be crystal clear, simply flawless and aesthetically compelling, taking on the direction and voice of the brand. This excellent level of product images comes from listening to our clients needs and transforming this into their desired outcome. Understanding your brand and your product allows our artists to create something truly breathtaking to show your product in the best light. 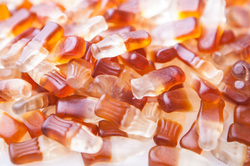 High-quality commercial product photography is all about infinite attention to detail, patience and preparation. There is no substitute for experience or craftsmanship and only with a dedicated team of professional product photographers and image technicians can you achieve the quality you need and ultimately want. From our newly refitted studios, let us help you to showcase your products to demonstrate to the world exactly how great it can look. Whether your range comprises a few products or several thousand, our commercial photographers and studio technicians will insist that quality is consistently maintained and produced efficiently. Whether at our studio or else at your place of work, our commercial photography for businesses is designed to work with you and your business to gain the images you're looking for. ​Please note that your booking will need include both the photography/video capture as well as the editing time. Available between 09:00 to 20:00 & includes image filtering & editing, provided on disk and delivered by courier. If you're looking for something outside of these hours, it is possible to arrange with prior notice. We are happy travel to your place of business, however, if you are located more than 10 miles from our business address, we charge business miles for this at £0.50/mile per excess mile. Based in Yorkshire we have access to several product manufacturers who commission our studios to produce their product photographs. Infinitus Studios provides product photography yorkshire wide as well as to the rest of the UK, liaising with our client to establish their brand look and feel.